Scooby-Doo! & Batman: The Brave And The Bold Review - Entertaining! Scooby-Doo! & Batman: The Brave And The Bold Review – Entertaining! It’s been over six years since Batman: The Brave And The Bold sadly left the TV screens. With its goofy stories and Silver Age presentation, it still stands as the best primer for the lesser-known comic book characters populating the DCU. Not only that, but it also made Aquaman cool! It was a great show that was woefully underrated, and when the series ended it was a moment of melancholy. As for Scooby-Doo, Mystery Inc.’s onscreen track record of late has been a mixed bag. The Mystery Incorporated show was a work of genius, but others have been weak and the LEGO Scooby-Doo movies are a travesty. However, you never know just when they’ll get it right again. With this Scooby-Doo! & Batman: The Brave And The Bold, both parties have pulled out a huge win. Granted, this won’t go down as the best appearance of either franchise. However, they blend together so seamlessly that it’s a testament to both franchises and the creators at work here. It isn’t the first time that the characters have crossed over, but it’s arguably the best. Their worlds may seem at odds, but that’s a part of the charm. 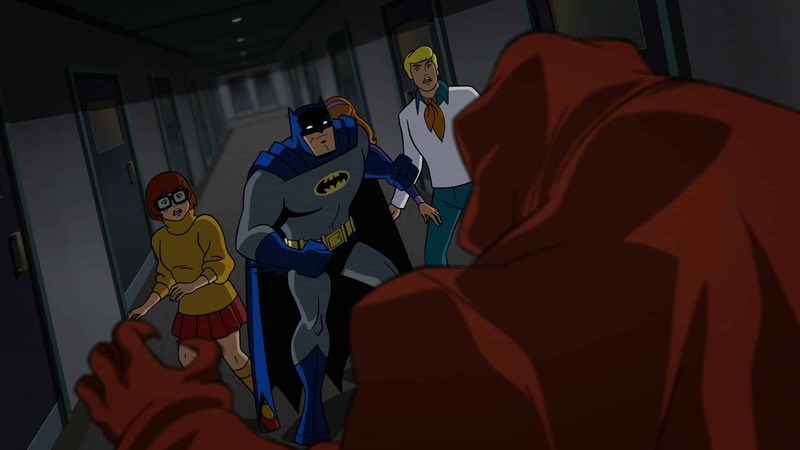 While Batman is befuddled by their cartoon logic and physics, Mystery Inc. are equally out of their depth when battling supervillains or simply exploring the Batcave. Mystery Inc. – Fred, Daphne, Velma, Shaggy and Scooby-Doo – have been solving mysteries and crimes that it’s practically become second-nature to them. When they cross paths with Batman, the world’s greatest detective, they’re honoured to be asked to join his own society of sleuths. Other members include The Question, Martian Manhunter, Detective Chimp and more… but definitely not the outrageous Aquaman! United, they gather to solve a seemingly simple crime but Mystery Inc. soon discovers that keeping company with Batman brings all-new perils. 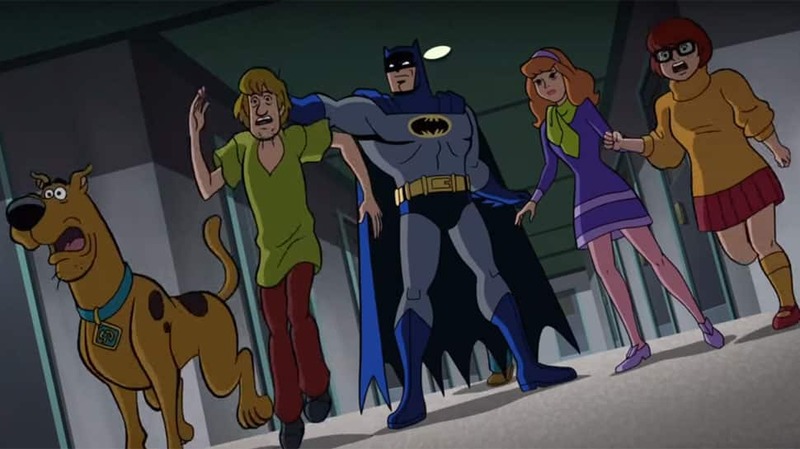 Can Batman right the wrongs his past with his hammers of justice, and can Scooby, Shaggy and the gang solve a ghostly mystery that has been haunting Batman for years? The mystery itself is perhaps a bit too obvious, but it still has enough layers to make it worthy of both sets of crime-solvers. Meanwhile, the comedic moments in Scooby-Doo! & Batman: The Brave And The Bold are mostly on point (Aquaman’s comment of Batman losing another Robin is one of the funniest jokes ever) and the voicework is excellent. Plus, as you’d expect from Brave And The Bold, there are plenty of cameos all over. Obscure villains that some viewers may only vaguely recognize from the LEGO Batman Movie are on hand, and it’s always good to see them. Deep down though it’s the character interactions which make this truly worthwhile. Fred’s obsession with traps disappears upon meeting Black Canary, Velma and Detective Chimp try to outsmart each other, and Martian Manhunter keeps eating Scooby and Shaggy’s cookies. What’s not to love? Honestly? There are a couple of things. The animation in Scooby-Doo! & Batman: The Brave And The Bold, mostly slick and stylish throughout, is let down during a hideously rendered car chase sequence. 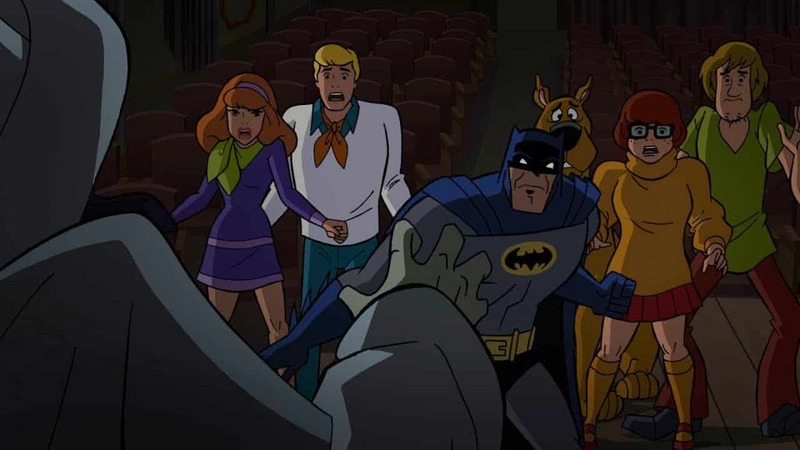 Some of the characters, especially Black Canary, add nothing to the plot and sometimes the story elements seem to contradict themselves… which makes looking for clues – always one of the best things for Scooby-Doo viewers who try to join in the sleuthing – incredibly frustrating. Plus it’s always rough seeing Batman’s detective skills look a little inferior, and some viewers may not appreciate the lighthearted tone of the whole production. With all of those problems addressed though, it’s fair to say that Scooby-Doo! & Batman: The Brave And The Bold is still one of the most entertaining DC animated films in a long time. It’s a great step forward for the Scooby-Doo franchise too, which certainly needed it. While not brilliant, it’s great seeing an all-ages story that’s driven by pure fun and novelty, as well as one which provides a real burst of nostalgia for long-time fans of both series. Batman and the rest of the hasbeens from DC comics are frivalous extras. This is one of the best Scooby Doo movies of all time. The chase scene was an enjoyable addition giving the show’s hero and namesake an a appropriate central role, himself being overshadowed in many of these other crappy franchise crossovers!